7Customizer is a tool that, with the help of the Windows Automated Installation Kit (WAIK), provides a nice graphical user interface for customizing your Windows 7 installation disk. You may insert language packs, Windows Updates, drivers of any kind, remove parts of the original installation, create an Unattended Script that covers everything but the partitioning (the unattended file can also be created manually with the help of WAIK to automate everything including partitioning, it is up to you which is more suited for your plans) or apply any kind of tweak to your registry or your interface such as customizing your wallpaper, taskbar, etc. etc. To get a burnable image out of the process, check the option to create an ISO-file - these can be made bootable and written on a DVD. Finish your doings on the Apply tab and prepare for a bit of waiting. 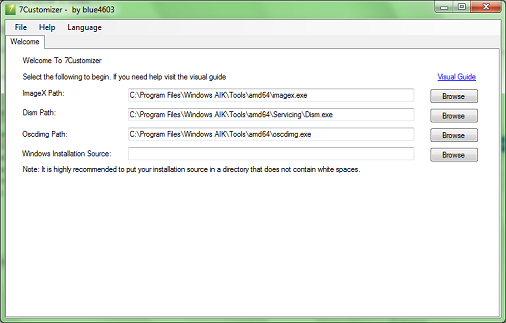 The .iso file that is produced is an image of the installation disk. Write it to a DVD and make it bootable.